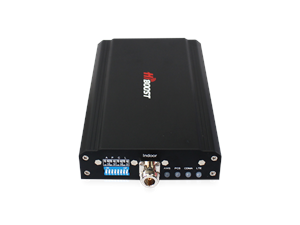 HiBoost home F15G-5S kit is a 65dB, ultra wide band cell phone signal booster that covers up to 5000 square feet with clear voice and high speed 2G, 3G and 4G LTE data. It can also support large capacity use: up to 100 cell phone users. With HiBoost F15G-5S Kit, enjoy clear calls and high speed data all around your house and office. Home 5k Kit (F15G-5S model) is equipped with smart MGC and AGC functions. AGC automatically controls system gain according to input signal in your area. 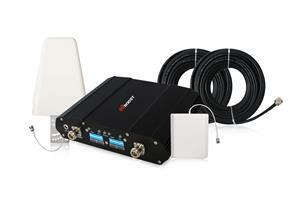 It balances booster power in order not to interfere with mobile operators' networks. HiBoost F15G-5S signal booster covers all the cell phone carriers in North America that include AT&T, Sprint, T-Mobile, Verizon, Cricket Wireless, MetroPCS, BoostMobile and more.